The poker market has grown exceptionally competitive in the last few years as more players are entering the market, improving their skills and playing continuously by levering mobile poker sites that enable them to play while on the move. If you want to be consistent at cashing out at the poker tables, you have to constantly keep learning and improving your game. One way you can do this is to take advantage of some great poker ebooks that allow you to have add to your poker education while on the move. We list some of the top poker ebooks below. This poker ebook is priced at $4.68 on Amazon and teaches the basics of poker and how to utilize simple math to your own advantage. The game of poker requires good mathematical skills as guessing will only lead you to lose more. The book contains simple mathematical concepts that will help players make good decisions at the table. 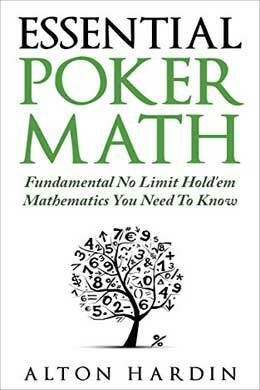 The book begins with the fundamental concepts applicable to poker math, and then goes in-depth into odds and probabilities, pot and implied odds, expected value and pot equity. The book also teaches some bet sizing and bluff techniques, and explains card combinations. Essential Poker Math was written by Amazon bestselling author and poker coach Alton Hardin. He founded the MicroGriner Poker School, an online poker school that caters to struggling micro stakes players and poker amateurs. Author Ashton Cartight asked 28 professional poker players a set of 14 questions on poker lifestyle and strategy and compiled their answers into a book called Real Grinders. 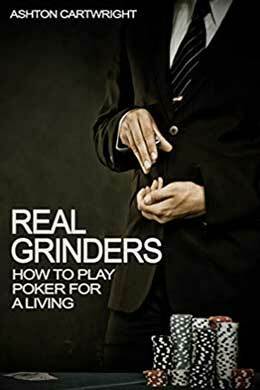 Available for $5.14 on Amazon, Real Grinders gives aspiring poker players an idea of how the pros do their thing. The perspectives coming from each poker pro is very interesting and the varying experiences and thoughts they share about the industry, provides a lot of valuable lessons for beginners. This book is more expensive than the rest but provides players with some great insight. 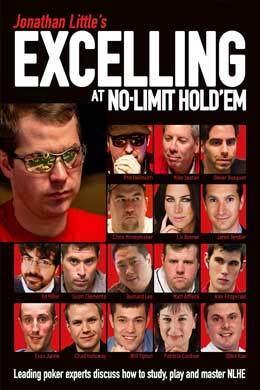 Excelling at No-Limit Hold’em was written by Jonathan Little and is available on Amazon for $19.07. The book covers poker strategy, as well as the technical and mental aspects of the game in three chapters. A number of poker pros, both old-school as well as modern elites have contributed to making this book. Some of these players include Ed Miller, Jared Tendler and Chris Moneymaker. 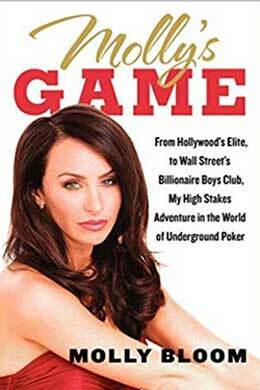 This book which was recently turned into a movie, offers an inside look into the woman behind the world’s most exclusive, high stakes poker game. The “Poker Princess” was responsible for running high-stakes poker games, which originated in the Viper Room nightclub in Los Angeles, drawing the big names in Hollywood like Leonardo DiCaprio and Ben Affleck, as well as popular sports personalities and wealthy entrepreneurs. If you’re into high-stakes poker, get ready to be totally blown away by Molly’s story which is being sold on Amazon.